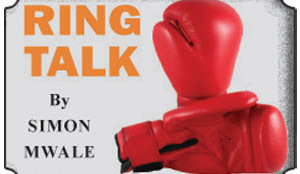 My topic this week and next week, however, is on the expulsion and suspension of some Zambia Boxing Federation (ZBF) officials and an outsider by the Kennedy Mubita-led executive committee. According to a ZBF press release issued this past week, following the single-handed appointment of an ad-hoc committee by Mubita, headed by Counsel Joseph Chirwa, in accordance of the provisions Cap 32(a) of the ZBF constitution, the committee that was tasked to investigate constitutional breaches had summoned five officials to exculpate themselves before the committee. They are Thomas Chileshe (former ZBF president), Jack Mbewe (ZBF vice-president), Elias Kataya, Gibson Kasonde and Greetings Kaonga. Chileshe was banned from all boxing activities, Kataya and Kaonga were expelled while Mbewe was suspended for six months. Kasonde, the only one who appeared before the committee, was reprieved. Mubita’s actions have caused a storm among the boxing fraternity who believe that he should introspect and reverse his committee’s decision which, when you examine the rationale, has many contradictions and outright nonsensical innuendos. For a start, Chileshe is no longer a ZBF official and it boggles the mind how anyone can ban him from all boxing activities. Kaonga was expelled because as assistant amateur national team coach, he was a corner-man for Alfred Muwowo and Catherine Phiri, professionals, at an Oriental Quarries Boxing Promotions (OQBP) tournament last year. The irony is that the same Mubita has appointed John Chibuta, a professional boxing promoter and trainer to take over from Kaonga. Observers wonder whether it is logical to go about issues like this. When it comes to Mbewe, my own investigations revealed interesting details. Last year it was alleged that Mbewe walked out of a meeting chaired by Mubita during a Lusaka show tournament. It is further alleged that Mbewe got instructions to stop a tournament at Maamba that coincided with an OQBP tournament in Lusaka after getting instructions from Sports Council of Zambia (SCZ) General Secretary Raphael Mulenga through Midlands Boxing Association (MABA) chairman Christian Kalima. Mubita allegedly insisted that ZBF cannot get instructions from SCZ because it is a third party. The Maamba tournament, however, did take place. Continues next week. THE World Boxing Council (WBC) heavyweight title is on the line with two undefeated fighters doing battle tonight at the Staples Centre in Los Angeles, California in the USA. Briton Tyson Fury (27-0, 19 KOs) goes the fight as a slight underdog against champion Deontay Wilder who aka “The Bronze Bomber” not for nothing with 40 fights 39 of which were knock-outs. For his part, Wilder says he will make sure that he attacks Fury from the get go and will avoid mistakes Vladmir Klitschko made in his points loss to Fury back 2015. That fight was clumsy with Fury slapping his opponent all night long, let alone the constant holding and the rabbit punches to Klitschko’s back of the head which could have resulted in Fury’s disqualification had referee Tony Week’s been awake. I lean towards Wilder to defend his title by KO.